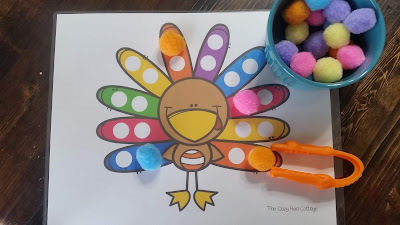 This is an easy prep activity that your kids will love...just print and go! 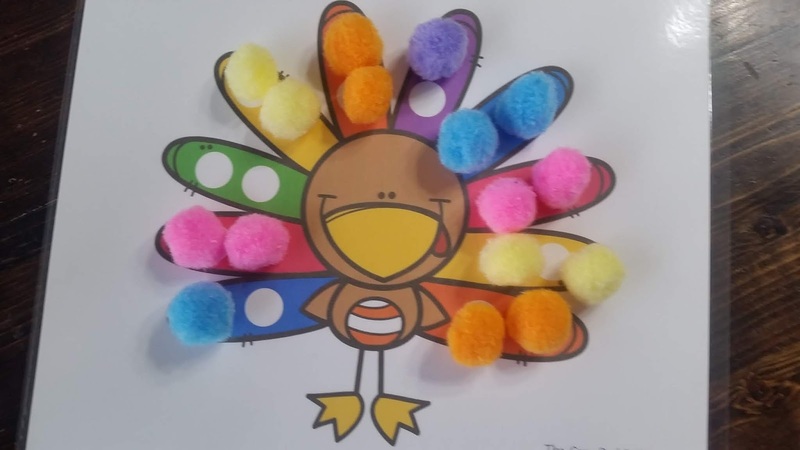 We used pompoms but you can also use buttons, skittles, dot markers or whatever you have on hand. 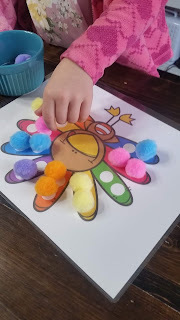 For younger kids you can even forget about the color matching and use it just a fine motor activity. in this case you can use anything! 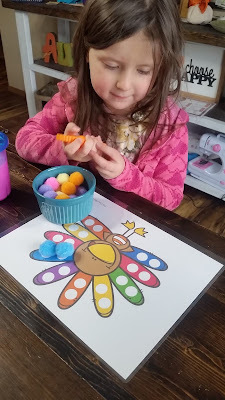 My favorite is something like cheerios or another kind of cereal. 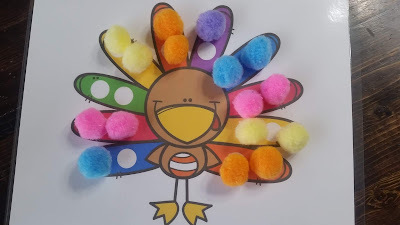 For an extra challenge we used our tweezers to pick up the poms but my little guy (he's 3) used his fingers.